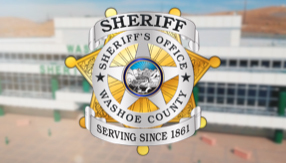 There are six Citizen Advisory Boards within Washoe County. Each Board is made up of citizens residing in the same general neighborhood area, who share the same problems and concerns. Patrol supervisors periodically attend the meetings in order to interact with local residents, become personally acquainted with residents and to become more aware of the specific concerns and problems within the districts. If you are interested in further information about Citizen Advisory Boards, click on the link below.